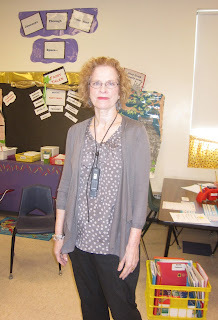 Long time and deeply loved Mast Way second grade teacher Barbara Nadori will apparently retire after this school year. Among parents and students, Mrs. Nadori is widely viewed as the finest elementary school teacher in the district. Her departure is a great loss for all of us. I want to thank her for all those wonderful years of teaching and to wish her a fantastic retirement. Both my children had Mrs. Nadori for second grade. (Being the best, Mrs. Nadori gets more than her share of tough cases.) My youngest is currently in Mrs. Nadori's class. I'm sure he's not the one that finally drove her to retire. Almost certain. Pretty sure. We just feel so lucky our children got to experience Mrs. Nadori as a teacher, and we're sad than no new families will have that chance. Update: I spoke to Mrs. Nadori for a few minutes today. She's looking forward to traveling to Europe. She's still not sure she made the right decision to retire. We'll probably see her around as she lives in the district and she thinks she might volunteer in the schools a couple of days per week. 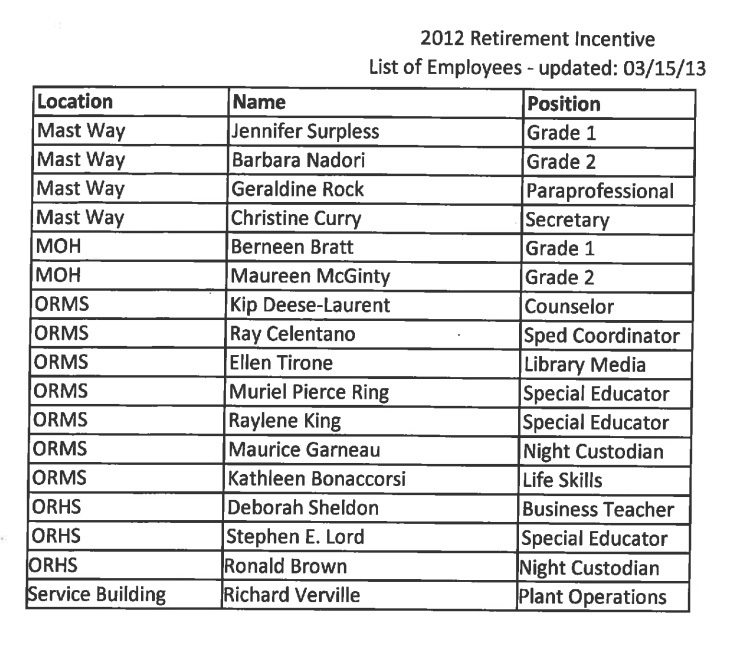 Mrs. Nadori's name has appeared on a new list, included in tonight's school board meeting agenda, of district employees that have taken retirement incentives offered by the board. It is my recollection that the incentives were offered through October. There were 14 names on the list from November. The district made only three hires to compensate, for a net reduction of 11 positions. This saves the district over $500,000 in staff costs in FY14 (next school year, when the retirement incentives are paid) and over $1 million each year after. The list to be discussed tonight has 3 additional names, with Mrs. Nadori being the only additional teacher. 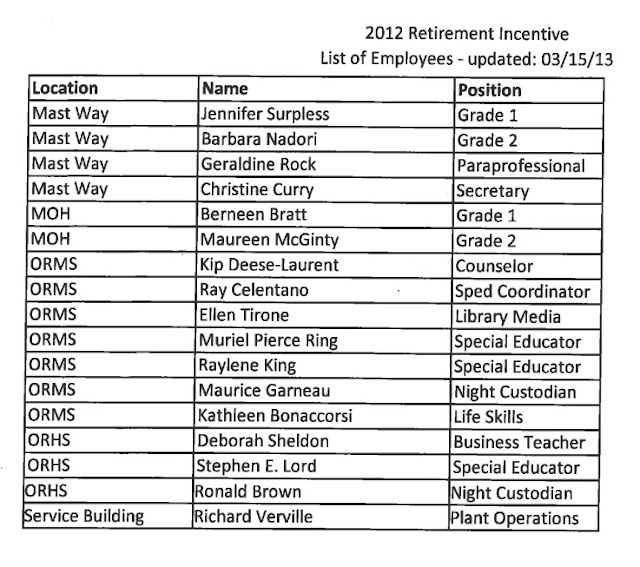 The larger list means even more savings for the district, with the superintendent announcing only Mrs. Nadori will be replaced. We all know that's just not possible. 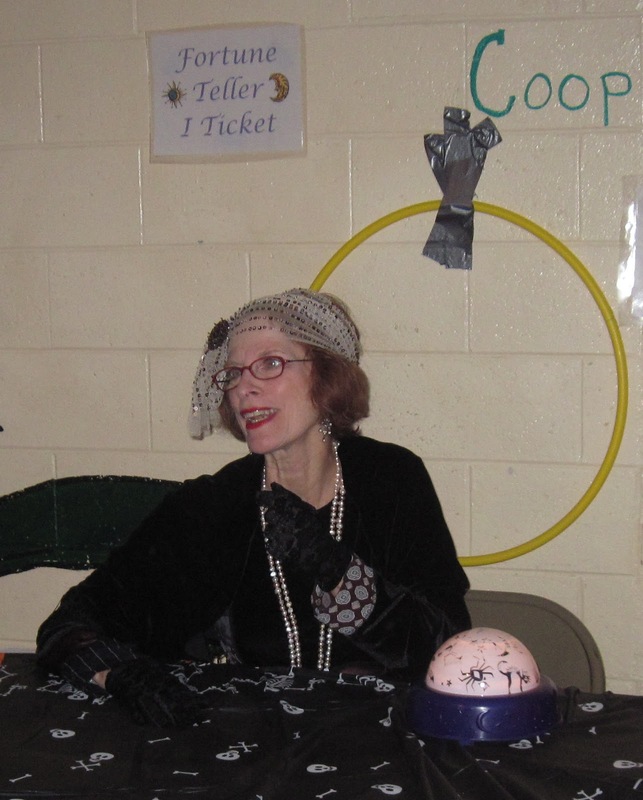 Have a great retirement, Mrs. Nadori. We will all miss you very much. Bob Barth responds to Tom B.